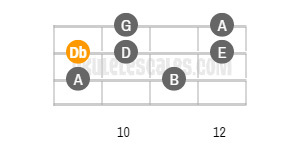 Also known as the altered dominant scale this mode has every non essential tone altered. 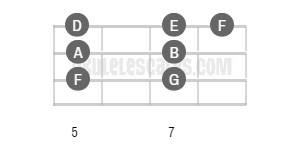 Basically the root note is the only note not altered in this scale. 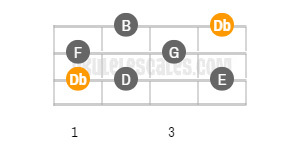 All pitches are lowered except C in the C altered dominant scale of C Db Eb Fb Gb Ab Bb. 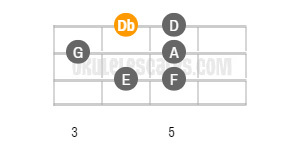 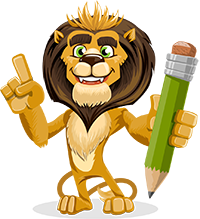 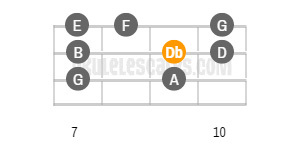 You'll find below the 5 different positions/shapes of the Db Altered Uke scale in Standard Tuning (gCEA), along with their ascending tab patterns.